Drinks and nibbles will be available. Dr Katherine Daniell, BEng(Civil)(Hons)/BA (Adel. ), PhD (ANU/AgroParisTech) MIEAust, is a Research Fellow at The Australian National University Centre for Policy Innovation. Her current research focuses on resolving the challenges associated with implementing multi-level participatory processes to bring about coordinated policy, adaptation strategies and local action for sustainable development. In this field, she has recently worked in France, Australia and Bulgaria on projects related to water governance, risk management and climate change adaptation. Her other research interests include public policy innovation processes, developing decision-aiding theory for multi-accountable groups and encouraging effective inter-organisational collaborations. Katherine is currently a member of the guest editorial team for a special feature in the Journal Ecology and Society on Implementing participatory water management: recent advances in theory, practice and evaluation, a compilation of papers that brings together policy, management and research lessons from the European Unions AquaStress and NeWater Integrated Projects. She is also a corresponding member on the Engineers Australia National Committee of Water Engineering. This presentation explores this issue through the analysis of two recently implemented multi-level participatory planning processes in Australia and Bulgaria. 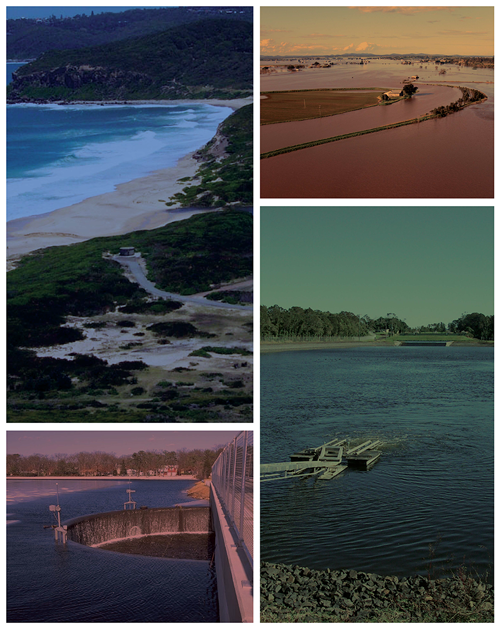 The Australian process was designed to aid the development of an estuarine risk management plan for a peri-urban region to Sydneys north and the Bulgarian process was developed to aid capacity building for coping with flood and drought risks in the Sofia region. The evaluation results of both multi-level participatory modelling processes and their organisation are used to provide insights into the factors that facilitate the development and implementation of successful processes. It is suggested that careful management of both the participatory modelling process and the participatory organization process are vital if positive on-the-ground outcomes are to be achieved, and that there are bodies of theory and decision-aiding methods available to aid the development of successful multi-level participatory modelling processes. From the analyses and insights, an agenda of further work required to better understand these processes and to drive sustainable and integrated management is developed.